Many people probably remember Shelley Fabares for her portrayal of Christine Armstrong on the popular television series Coach, 1989-1997. If you are a little older you will probably remember her as teenage daughter Mary on the first five seasons on The Donna Reed Show, which ran 1958-1966. If you are a fan of Elvis you will recall her as the co-star of the movies, Girl Happy, Clambake, and Spinout. All of which leads us to her short time as a genuine female teenage music idol. She was a reluctant singer with an average voice but with the power of a hit television show behind her, she would become a popular one. During the fourth season of the series she premiered “Johnny Angel” on the show and the single would go on to sell over a million copies, topping the Billboard Hot 100 singles chart for two weeks beginning April 7, 1962. It was a typical song of teen angst that was popular during the pre-Beatles era. It was the story of a girl who was in love with a boy who doesn’t know she exists. She begins to turn down other opportunities as she pines for this guy who’s out of her league. She finally got the boy in the follow-up single, “Johnny Loves Me,” which was released a few months later. The song was innovative as it contained an early use of an echo chamber in the recording studio where she repeatedly sings “Johnny Angel” at the beginning of the song. Backing vocals were provided by the veteran group The Blossoms, featuring 2011 Rock and Roll Hall of Fame inductee Darlene Love. It doesn’t get much better than that. “Johnny Angel” was a song from a different and far simpler era and it sounds dated today. The arrival of the Beatles and the subsequent changing tastes in music in the United States would signal the end of her music career by the mid-1960s. Still, very few singers can make the claim of having had a number one hit song. It was 52 year ago that Shelley Fabares and her “Johnny Angel” sat on top of the American music world. Concetta Rosa Maria Franconero—professional name Connie Francis—sold more records than any solo female singer during the 1950s and 1960s. She produced a number of perky, upbeat pop songs, including “Stupid Cupid” and “Lipstick On My Collar,” and a few soaring ballads, “Where The Boys Are” and “Follow The Boys.” But it was through her series of sad ballads that she gained the greatest fame. “Don’t Break The Heart That Loves You” was symbolic of her group of angst-laden ballads. It was the story of a woman trying to understand why her lover was treating her so bad, and ends with her begging him to take her back. Released during early 1962, it reached the number one position on the Billboard Hot 100 chart on March 31, 1962 for one week. It also spent four weeks at the top of the Billboard Easy Listening Chart. It was her third and last number one hit. She issued a fairly creative interpretation of the song (written by Benny Davis and Ted Murry). It featured her voice overdubbed into two-part harmonies. She then added a spoken bridge to connect the two parts of the song. While she would continue to issue a number of hit singles and albums, as the 1960s progressed and musical tastes changed, her commercial success began to wane. Despite a number of tragedies and personal issues, she continues to tour and perform and is a regular on the Las Vegas circuit. When performing on stage, Connie Francis has a vast catalogue of hits to draw from. One of the biggest was “Don’t Break The Heart That Loves You,” which topped the music world for seven days 52 years ago. 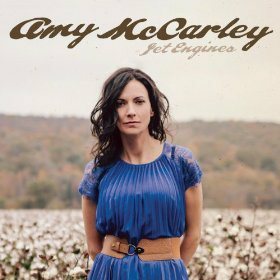 Amy McCarley has returned with her second release, Jet Engines. She is an artist who treads the line between traditional and alternative country. although she comes close to a modern folk sound every once in a while. Her newest release has several things in its favor. The music creates a feeling of comfort and familiarity. She has a style that does not overwhelm the listener but sets him or her at ease. The album also has a good tempo to it. Up-tempo songs and interspersed with slower material and simple performances share space with a full band sound. It prevents a sense of sameness, which tend to plague many independent releases. She quickly proves she can write a good song with strong melodies and incisive lyrics as she composed all ten tracks. She is a good acoustic guitarist and an her vocals have an earthy sound. She is supported by guitarist Kenny Vaughan, drummer Derek Mixon, bassist Michael Rinne, plus additional guitarist George Bradfute on two tracks. Amy McCarley has released an excellent sophomore album. It will hopefully receive some deserved airplay and give her some exposure. Jet Engines is worth the price of admission. “Hey Baby” by Bruce Channel was like the little engine that could (and did). It was first released as a single on the small LeCarn label, located in Fort Worth, Texas, during early 1961. Most songs would have disappeared then and there, but “Hey Baby” managed to acquire enough airplay on a few local radio stations to be noticed up by the larger Smash Label. Rereleased during December of 1961, it reached number one on the Billboard Magazine Hot 100 March 10, 1962. It remained on top of the American music world for three weeks. Channel retired from touring during the mid-1970s and settled in Nashville as a songwriter. For the rest of his life can look back on his big shining moment when his “Hey Baby” was on top of the music world. “The Twist” had dominated the top of the Billboard Magazine Pop Singles Chart for five weeks during early 1962. First Chubby Checker (two weeks) and then Joey Dee and The Starliters (three weeks) had kept America dancing, but that all ended 50 years ago this week when Gene Chandler ascended to the top of the charts. Chandler was a Chicago born (1937) and based rhythm & blues singer. His career spanned and remained commercially successful from the late 50s doo-wop era, through the British Invasion, into the disco era of the 1970s, and to the present day. His musical landmark occurred February 17, 1962, when his “Duke Of Earl” spent three weeks as the number one single in the United States. He was originally a member of the vocal group, The Dukays. When their record label refused to release “Duke Of Earl” as a single, he went solo and released the song, which he had co-written, under his own name. It proved to be a wise decision as one million records sold later; he had produced one of the signature songs of the pre-Beatles era. The song’s vocal beginning, “Duke, Duke, Duke, Duke Of Earl,” is still instantly recognizable by many music fans. The song was a cross between do-wop and smooth R&B that resonated with the mainstream music audience. It was a clever love song about making the girl his Dutchess Of Earl. After each stanza, his clear tenor voice would soar in a do-wop style. It was one of those simple songs that had a beat and lyrics that would not leave your mind and was perfect for AM radio at the time. Chandler would begin performing in a cape, monocle, top hat, and cane and calling himself “The Duke.” At the age of 77, “The Duke” is still on the road performing his favorite song, which was number one 52 years ago. Janiva Magness is a rare modern day blues artist who has actually lived the blues. She lost both parents in her teens and was shuttled through a number of foster homes. She gave up a child as a teenager and had a long-term marriage end. Like many blues artists, she is a survivor and has been able to channel her experiences, both good and bad, into her music. Now over 30 years into her career, she has released her 10th album titled Original. While this release may fly under the radar of many music fans; for blues aficionados it is an event to celebrate. She has received 22 Blues Music Nominations, been honored as Female Blues Artist Of The Year three times, and received the coveted B.B. King Blues Entertainer Of The Year Award in 2012. Her new release not only finds her incorporating some rock and soul into her music but is also her coming out party as a songwriter. She has always been an apprehensive composer but here she steps forward and contributes seven original tunes, which reflect her journeys through life. The passion she brings to her own creations explores the very heart of the blues. She is a vocalist with excellent tone and command of her instrument. She can soar and purr as needed but is always able to present her stories with authority. Her basic backing band consists of guitarist Zach Zunis, keyboardist Jim Alfredson, bassist Gary Davenport, and drummer Matt Tecu. She is an artist who continues to evolve. Her sound is fuller and she uses creative rhythms and sounds to enhance her music. “When You Were My King” features her pure voice, some guitar reverb, plus acoustic and electric interplay. The confessional “Let Me Breathe” introduces the album with a blues guitar enhanced by a glockenspiel. From the simple to the complicated, songs such as “I Need A Man,” “Mountain,” “Badass,” “The Hard Way,” and “Standing” are not only a trip through the American blues but a journey through her mind and psyche as well. 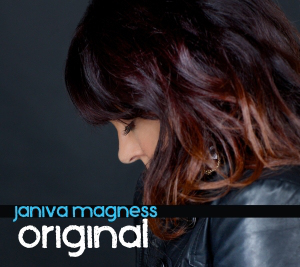 Janiva Magness continues to fuse herself with her music. Original is another excellent leap into the world of the American blues by an artist who is still standing. Long John Baldry, 1941-2012, was one of the key figures in the early British blues movement and thus a connector in the development of British rock and roll. He was a contemporary of early blues artists Alexis Korner and Cyril Davies and heavily influenced such artists as The Rolling Stones and Eric Clapton. During the mid-1960’s he played in bands with Rod Stewart (Steampacket) and Elton John (Bluesology). He moved to Canada in 1978 and in 1991 formed a relationship with the Stony Plain Label. The label has now established a new compilation series titled The Best Of The Stony Plain Years. Baldry is one of the first artists to have a CD release in the series as tracks from his albums for the label have been combined with two previously unreleased tracks. The album begins with a creative version of “Good Morning Blues.” There is a 30 second snippet of his 1958 recording of the song before sliding into the version he recorded in 2001. The modernization of the song presents a much smoother sound and the instrumental backing is full, yet his roots are very apparent. While the blues are painful at times; “I’m Shakin,’” “Easy Street,” and “Midnight Special,” which are presented in a row, are a joyous romp through the modern day blues. His voice has gained strength as the years have passed and has developed into a strong instrument. His take on “Gallows Pole” is very different from the famous version by Led Zeppelin. It is a rollicking and boisterous interpretation that comes close to a traditional Americana sound. The album ends on a high note. “Time’s Getting’ Tougher Than Tough” contains a duet with blues legend Jimmy Witherspoon with backing by The Duke Robillard Band. It all adds up to an excellent example of a modern day fusion of rock and blues. 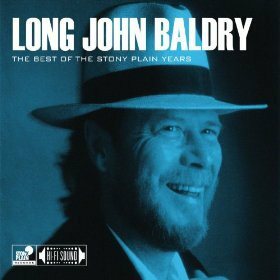 The Best Of The Stony Plain Years presents a nice taste of the last part of Baldry’s career. The music may not be as influential or important as his early work but it is very listenable and shows the end product of his evolutionary process. You are currently browsing the Muskmellon's Blog blog archives for July, 2014.